There are several changes to the 2012 Nissan GT-R that help to improve it versus the 2009-2011 models. 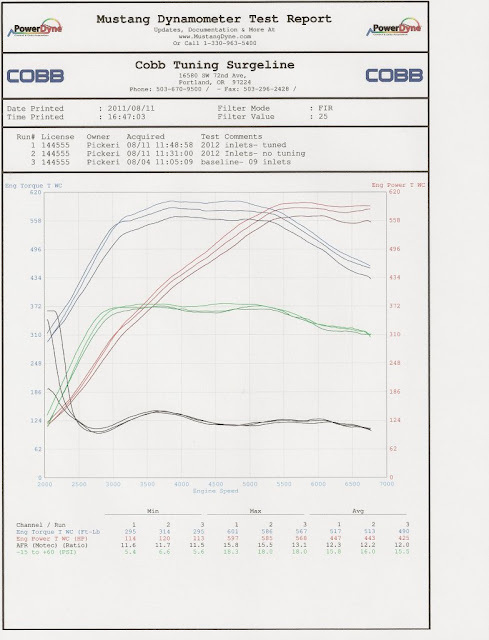 One of those changes that help push the 480-485 hp CBA to 530 hp in the DBA are the turbo inlet pipes. Part of making power is having less restriction on the inlet and the exhaust side of the engine. 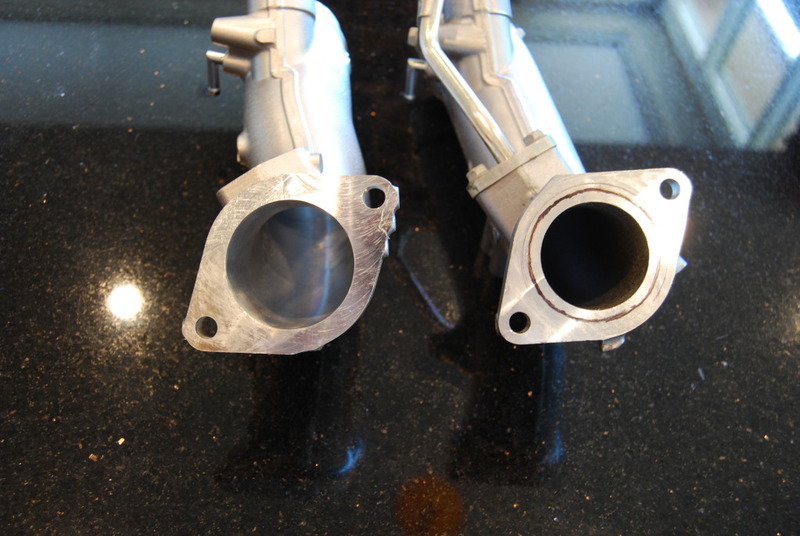 Even something as minor as a turbo inlet can unlock some extra power. 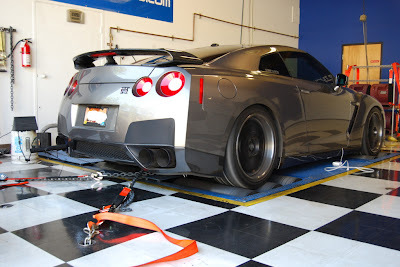 Titanium KAC GTR on the Dyno. gotboost from NAGTROC bit the bullet, and sacrificed some skin on testing back to back the early and late inlet piping with some great results. In the above picture you can see how much larger the inlet to the turbos is on the 2012 DBA GT-R. 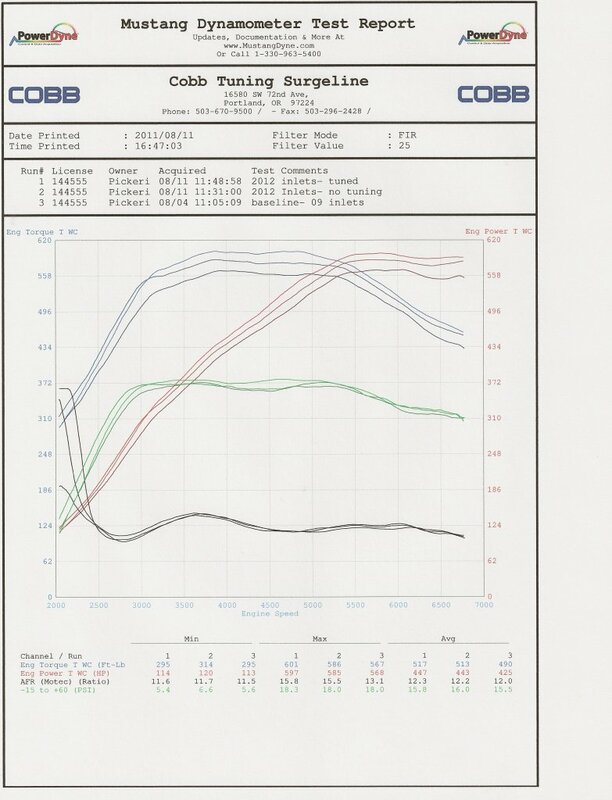 Even untuned the car picked up 17 horsepower peak with almost exactly the same boost. Tuned it picked up 29 horsepower.